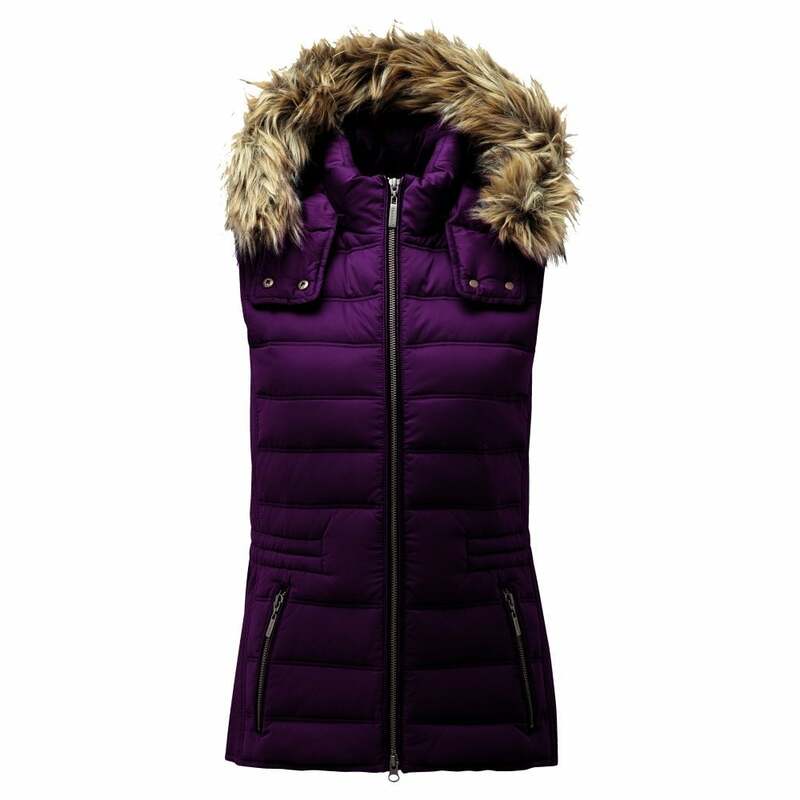 Perfect for keeping you warm this winter the Chelsea Down Gilet has been re-invented to be warmer than ever. Ethically sourced down has been used to create this baffle quilted gilet and an adjustable waist cord allows the wearer to get the perfect fit. Extra warmth has been added with fleece lined front pockets and a high funnel neck. The faux fur trimmed hood adds extra versatility as it can be easily detached if you wish to wear the gilet alone. Luxurious and warm this gilet is the perfect addition to your winter wardrobe.